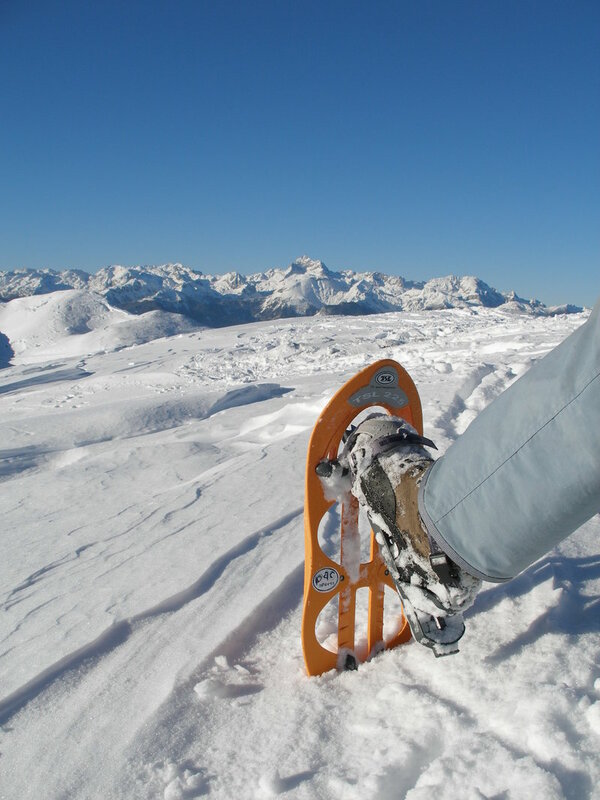 Adventure center Nomad200 organizes a one-day, or longer, trekking trips with snowshoes. Snowshoeing Slovenia in the deep snow, between spruces and through planes covered with snow is the ultimate enjoyment of the intact nature. With our big feet we will wind through the labyrinth of the snow-covered landscape. We can organize snowshoeing Slovenia in the Logarska Valley, on the Velika Planina or we can take you through the endless forests of Pokljuka. You will experience genuine contact with an unspoiled nature of Triglav National Park during snowshoeing on Pokljuka, a forestry Karst plateau. 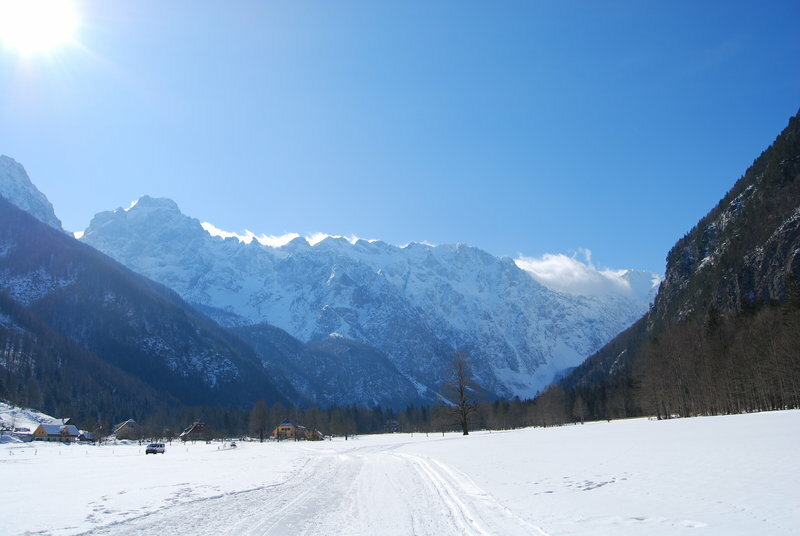 We will enjoy the snowshoeing in the beautiful surroundings of Logarska valley in the depth of the Savinja Alps, admiring over 2000 m high peaks. 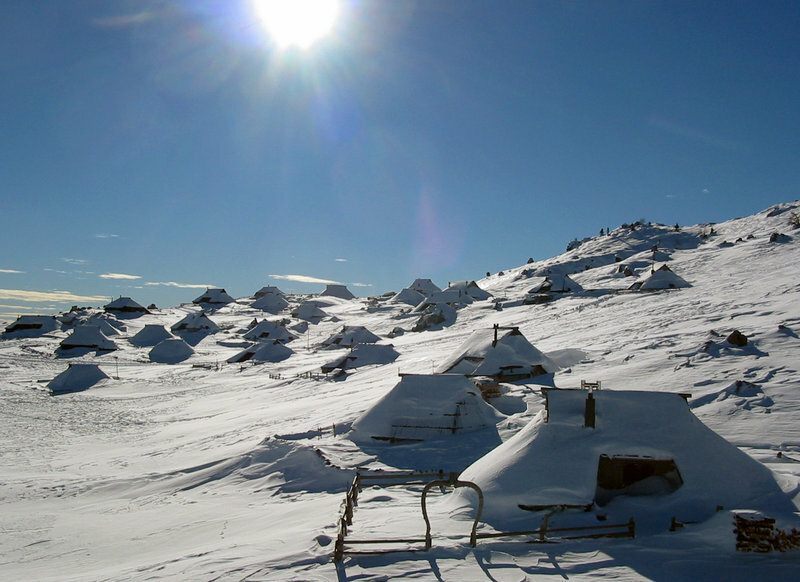 Experience a walk on a snowy landscape of Velika Planina, crossing snowy slopes, shepherd’s villages and Karst hollows by snowshoes.